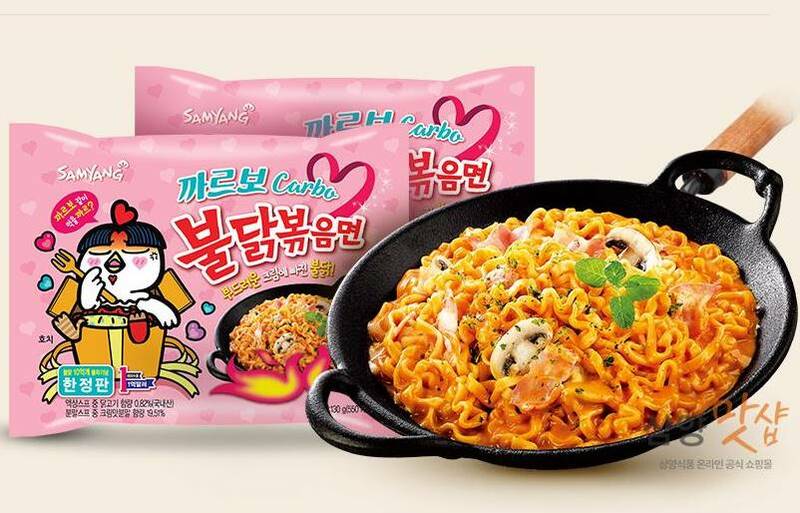 Samyang, which is notoriously known for its Buldak Bokkeum Myeon – also known as Hot Chicken Flavor Ramyeon from the spicy ramen challenge – has released Carbo Bokkeum Myeon, in conjunction of their 1 billion sales of Hot Chicken Ramyeon. This new flavor is inspired by cream carbonara and Carbo is actually referring to Carbonara. Available only for a limited time, the Carbo Ramyeon is still as spicy but with an aftertaste of savoury light creamy cheese to it. Get your hands on this Samyang’s limited edition Carbo Ramyeon and challenge your friends, head over to Gmarket to order now! Local shipping is FREE, so sign up with us to gain access to our Korea warehouse!